The Opposition Leader in National Assembly Shehbaz Sharif has said he will not chair any session of Public Accounts Committee (PAC) related to the previous government’s rule. This he said, while chairing the first meeting of the Public Accounts Committee (PAC) here today in the parliament house. “I will not chair any session for audit of previous government’s tenure, sub-committees will be formed in this context,” he said. The details of the cases sent to the NAB and FIA have been summoned for the next session on Monday. NA Speaker Asad Qaiser a day earlier issued a production order of Mr Sharif to enable him to chair the PAC meeting which will start on Dec 28 and will continue till Dec 31. The parliament body has summoned senior officials of the National Accountability Bureau (NAB) and Federal Investigation Agency (FIA). The Auditor General of Pakistan and the officials of the power wing of the Ministry of Energy will brief the PAC in the meeting, sources said. 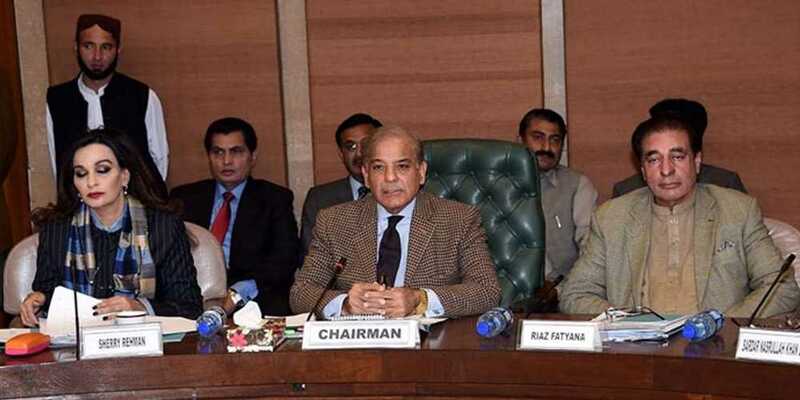 Shehbaz Sharif, president of the Pakistan Muslim League Nawaz (PML-N), was elected Chairman of the PAC in a meeting of the committee at Parliament House in Islamabad on Friday, December 21. The PAC in a move unanimously elected Shehbaz as its chairman. Earlier this month, Pakistan Tehreek-e-Insaf government conceded the chairmanship of PAC to Shehbaz, almost three months after a stalemate over the key position.